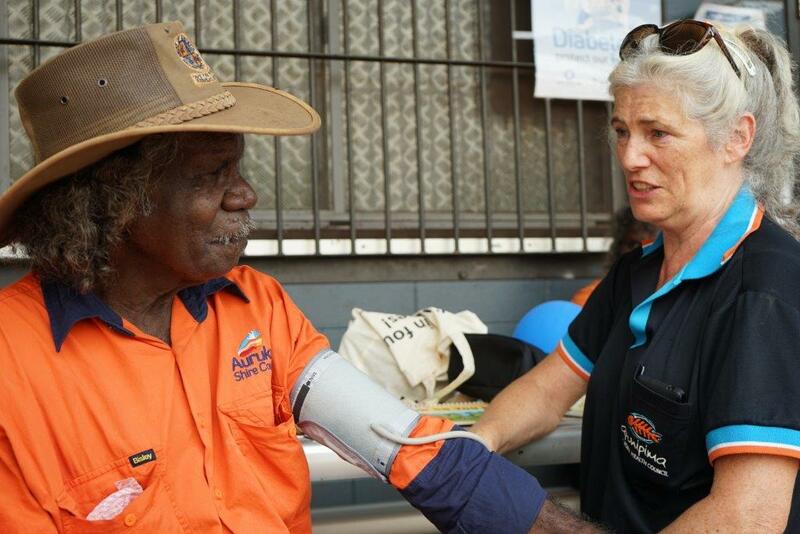 ‘Type 2 diabetes affects Aboriginal and Torres Strait Islander communities around three times as much as non-indigenous Australians – they also suffer from more complications and are more likely to die as a result of the condition. 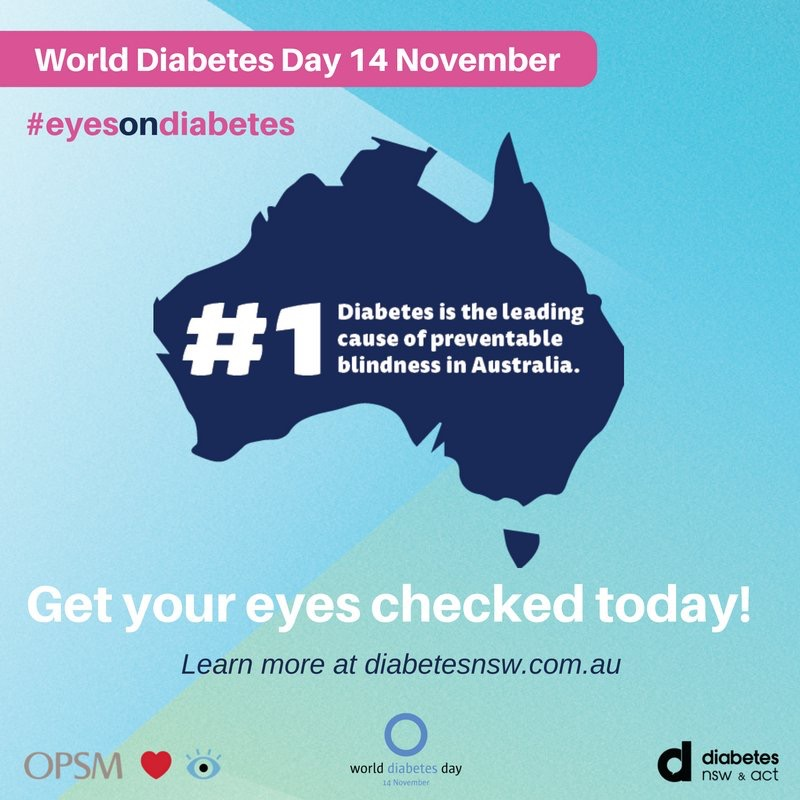 ” We know that untreated eye disease is a key contributor to preventable blindness among our community and is often caused by other diseases that affect our people such as diabetes and hypertension. To support World Diabetes Day (November 14) Apunipima’s Diabetes Educators- Bernadette Heenan and Cathryn Dowey – presented at the Lowitja Institute International Indigenous Health and Wellbeing Conference on the benefits of continual glucose monitoring technology (CGMS) which allows Type 2 diabetes clients to ‘see’ when their blood sugar levels change and then alter their behaviour accordingly. ‘Continuous glucose monitoring involves the person with the disease, enabling them to see (via graphs) what causes their blood sugar to spike beyond a healthy rate,’ said Bernadette. While this process makes a difference to those suffering from the disease, there is a lot that can be done to prevent people getting diabetes in the first place. For every person who is diagnosed with diabetes there is one undiagnosed. So the theme this year is screening. On 21 September, The Fred Hollows Foundation Founding Director Gabi Hollows launched a campaign to reduce rates of untreated eye disease among Aboriginal and Torres Strait Islander people living in South East Queensland. 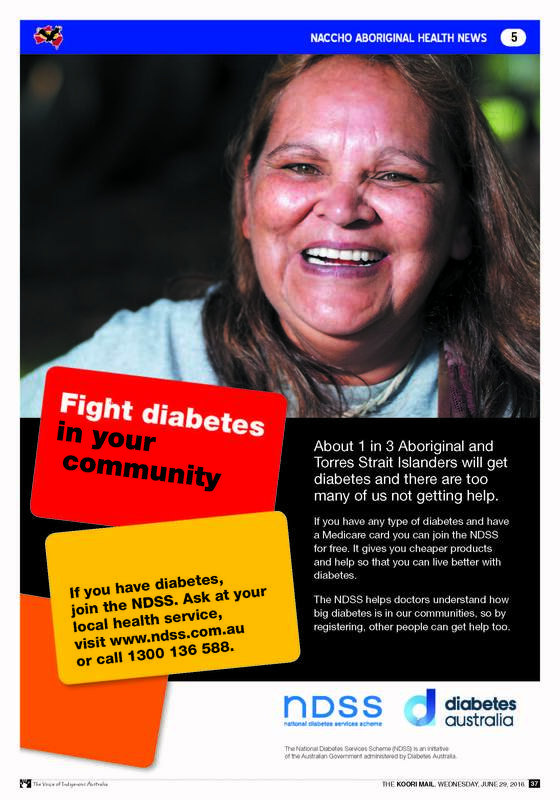 The campaign encourages community members to have regular eye health checks at their local Aboriginal Medical Service. The initiative is being implemented by the Institute for Urban Indigenous Health (IUIH) with funding from The Fred Hollows Foundation, and builds on their existing partnership across the region. The initiative adds a new dimension to the hugely successful Deadly Choices social marketing campaign which has seen an average 50% year-on-year increase in the number of preventative health checks performed at IUIH’s 18 member clinics across South East Queensland. Regular eye health checks play an important role in reducing the rate of untreated eye diseases such as cataract, glaucoma, trachoma, diabetic retinopathy and macular degeneration. People who have their eyes checked as part of the initiative will receive a Deadly Eyes gift pack, including sunglasses, lens cloth and spray, as an incentive. IUIH Chief Executive Officer Adrian Carson says that the program will improve access to preventative eye health services and reduce rates of eye disease. “Both IUIH and The Fred Hollows Foundation are committed to ensuring that all Aboriginal and Torres Strait Islander peoples can access quality eye health services,” he said. 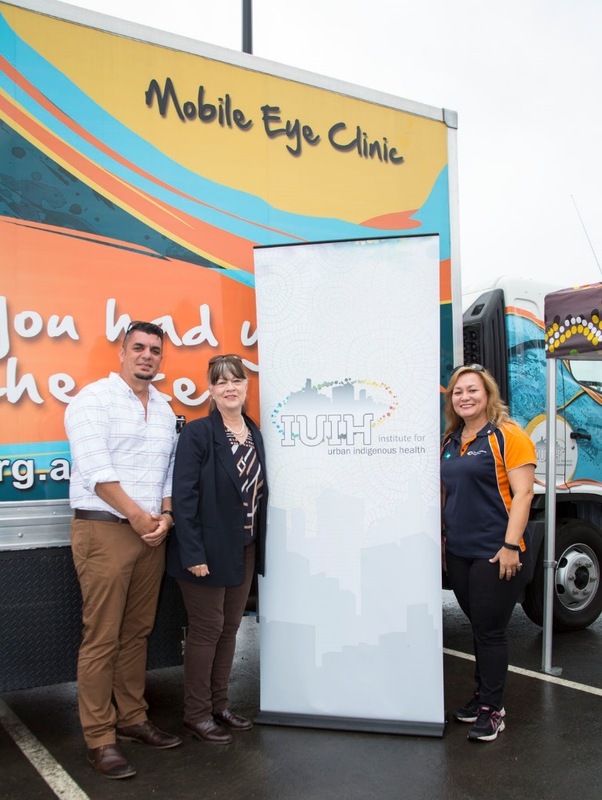 According to Ms Hollows, the partnership is a successful model for bringing eye health care to communities in South East Queensland, “The Deadly Urban Eyes campaign is a great program that will make a difference in the vital eye health care sector,” she said. 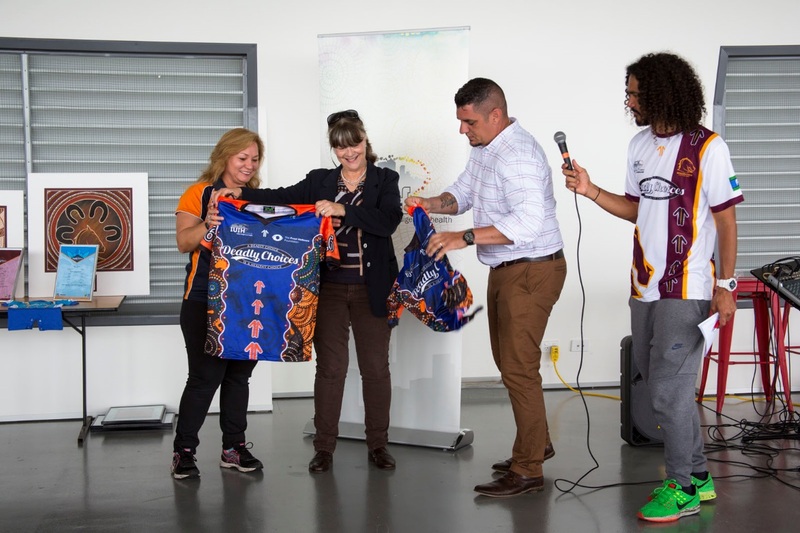 The Foundation’s Indigenous Australia Program Manager, Jaki Adams-Barton, said the Deadly Choices Eye Check for South East Queensland was an important component of the work The Fred Hollows Foundation is doing Australia-wide, “Our program focuses on reducing rates of cataracts, diabetic retinopathy uncorrected refractive error and trachoma in Aboriginal and Torres Strait Islander communities. Getting your eyes checked regularly is key given 94% of vision loss for Aboriginal and Torres Strait Islanders is preventable or treatable if caught early,” said Jaki.